, Google SketchUp and Building Maker, and Panoramio, Geo enthusiasts are harnessing the ability to add and edit various aspects of geography across 180 countries and regions in Google Maps and Google Earth. 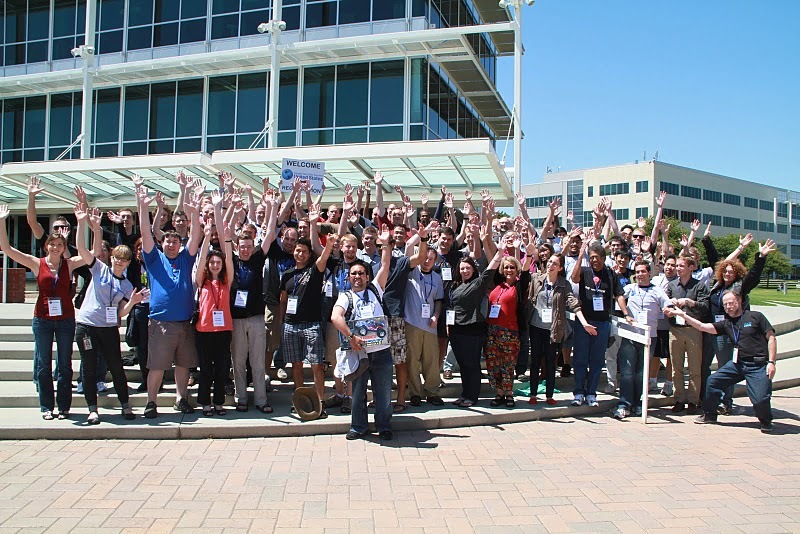 To celebrate the valuable contributions of our users, particularly in light of Map Maker’s United States launch in April, we felt it was time to connect with our amazing U.S. Geo Community in person. From July 20th-22nd, the Google Geo team welcomed avid mappers, 3D modelers and Panoramio photo contributors from throughout North America to our Mountain View campus for the first ever United States Geo User Summit. The summit was an opportunity for our most active contributing users to come together to learn, teach and share best practices with one another. A Map Maker workshop brought everyone up to speed on solid mapping practices and ways to add that next level of comprehensiveness to the map. 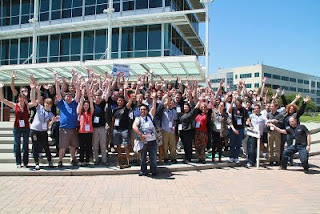 Google reviewers also made the trip to Mountain View, CA to connect directly with users and give them the inside scoop on what goes into reviewing an incredible number of mapping edits each day, while offering insight to both new and experienced mappers. The user-generated unconference sessions also gave everyone a chance to troubleshoot, voice ideas, and brainstorm potential new product features with Googlers. There was also plenty of playtime, including an RC Car Scavenger Hunt, which had teams of summit attendees chasing remote controlled toy cars to points of interest across the Google campus. Ultimately, however, the event served as a forum for users to share their amazing and inspiring stories with fellow members of the Geo community. Hearing their stories and perspectives was definitely the highlight of the summit. For example, Sophia Sallas-Brookwell, an undergraduate at the University of Chicago, introduced her plan to implement Map Maker as a means of addressing the inequitable distribution of healthy food options in Chicago’s South Side. Educator Jon Walker described his extensive use of mapping and 3D modeling in his Gresham, Oregon classroom, and how he encourages his high school students to leave a thoughtful footprint in the world. Many other users also shared their tips, tricks, and motivations, igniting a noticeable enthusiasm among attendees. 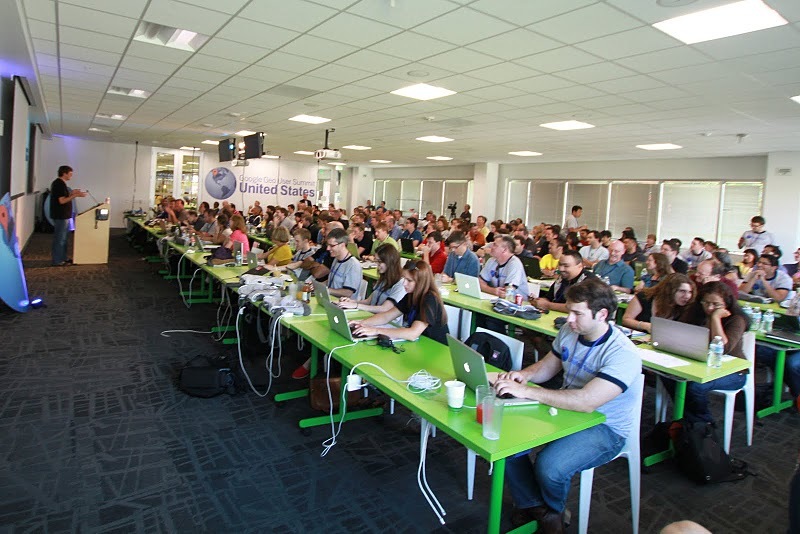 If you weren’t among the crowd at this summer’s U.S. Geo User Summit, feel free to visit the event website, where you can browse photos of featured speakers, brainstorming sessions, and RC toy cars escaping into the sunset. Extensive session notes and presentations are also available. If you’re interested in attending future events, please see the Map Maker Events Calendar, 3D Events Calendar and Panoramio Events Calendar. 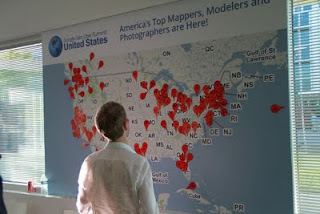 This summit was just the beginning of an ongoing celebration of the passionate mappers, modelers, and photo contributors around the world. Across the globe, a steadily growing community of passionate users are blazing new trails in the world of online geographic content. With the help of products like Google Map Maker, Google SketchUp and Building Maker, and Panoramio, Geo enthusiasts are harnessing the ability to add and edit various aspects of geography across 180 countries and regions in Google Maps and Google Earth.